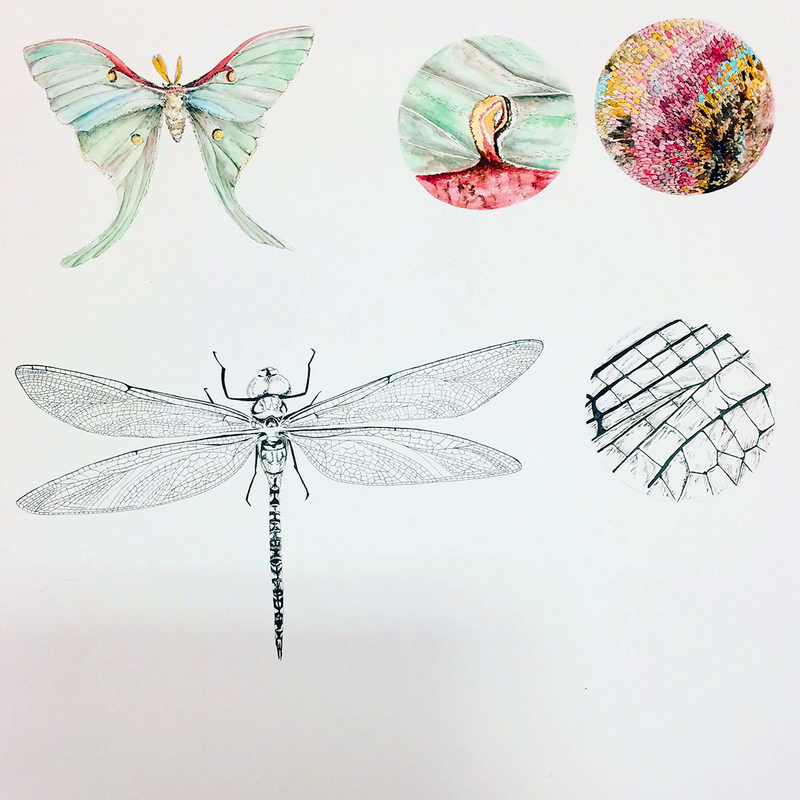 Process Photos (above): Left is of preliminary studies of the Luna moth and common dragonfly, with microscope sketches. 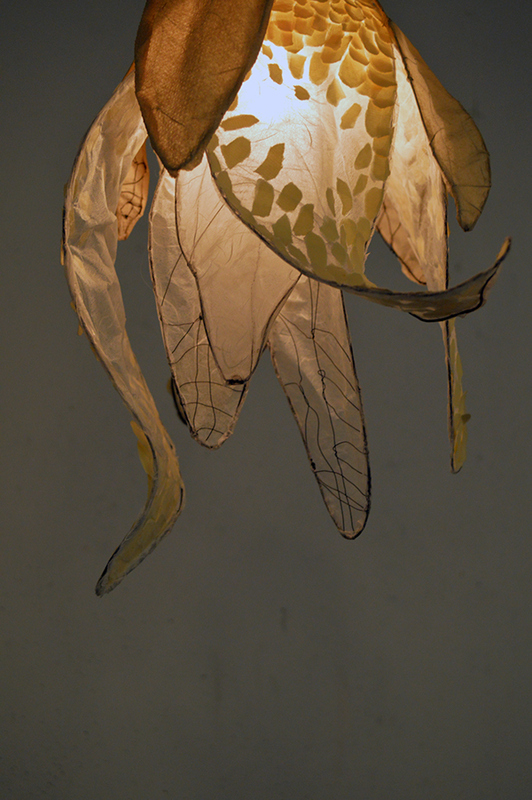 Right is of initial material explorations for the sculpture, with wire eventually replacing black cardstock. 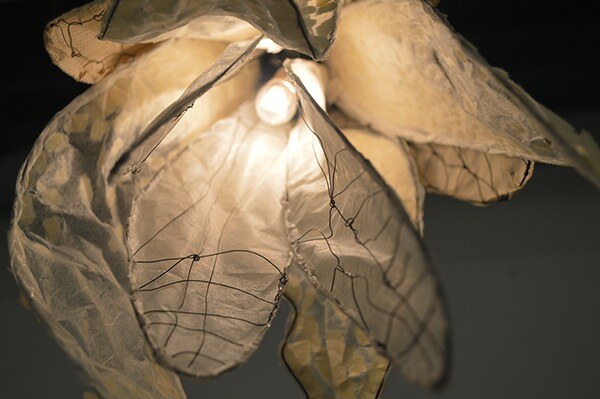 (Luminaire lepidoptera) gets its name from the scientific notation of species, as this project developed from an in depth study of moths, dragonflies, and other winged insects. 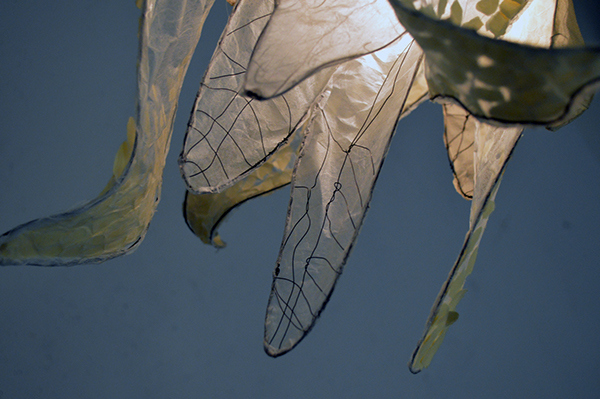 The luminosity of insect wings drove the design of this light sculpture, which was constructed by hand. 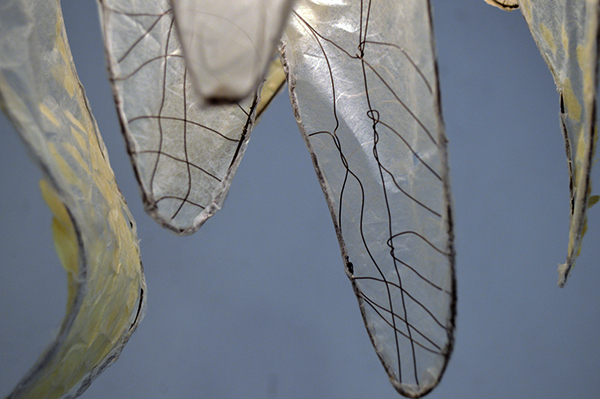 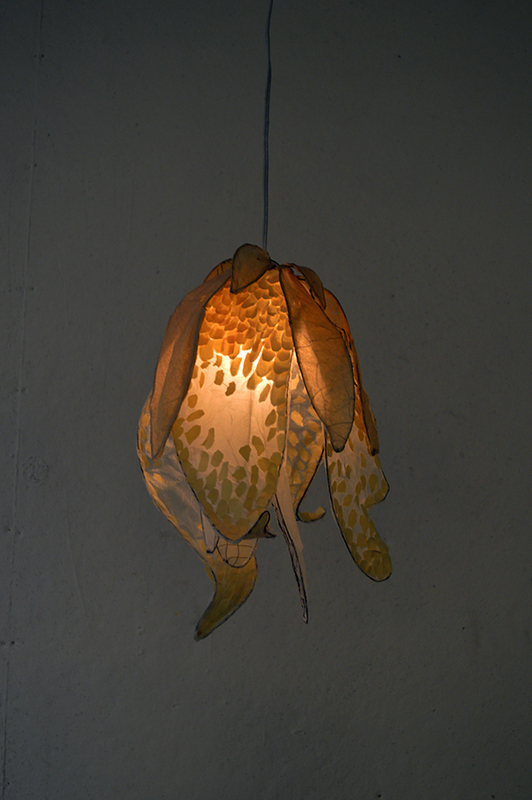 The wire and paper combination is meant to reference the internal structure and light membranes of insect wings. 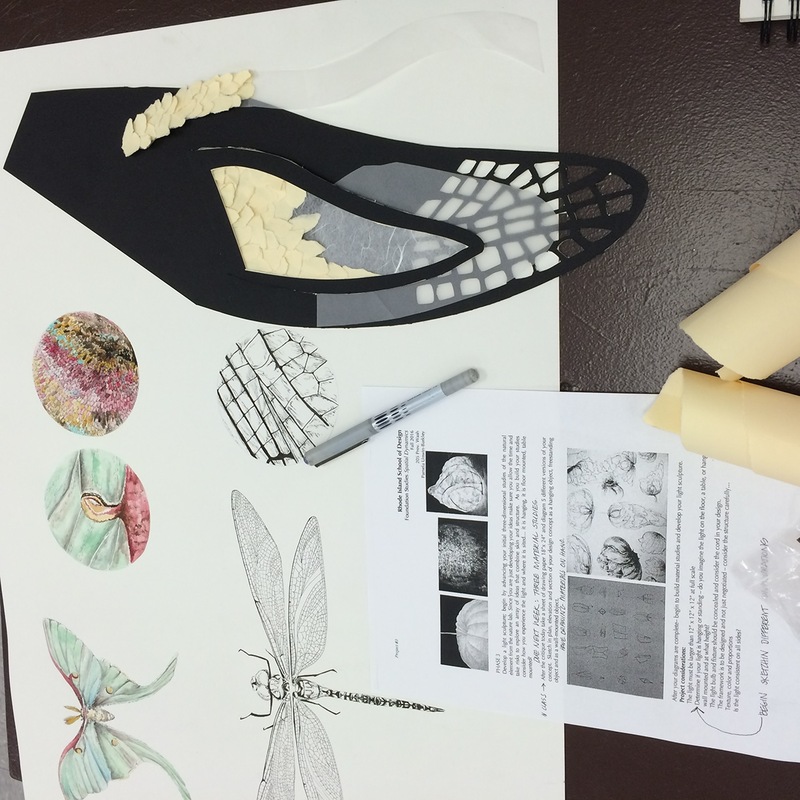 The paper scales were torn by hand and individually applied to the descending panels.